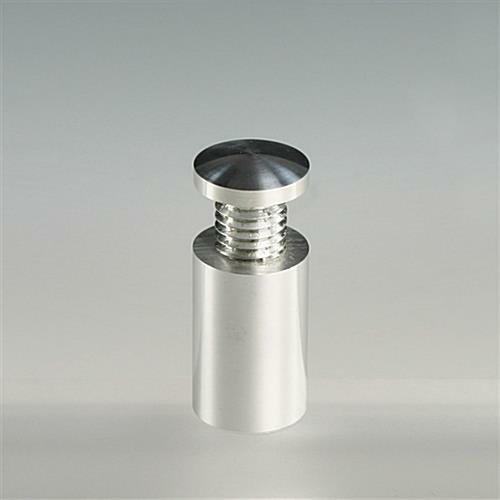 Size (Diameter x Depth): 0.625" x 1"
0.625" x 1.5" 0.625" x 2" 1" x 1" 1" x 1.5" 1" x 2" 1" x 2.5" 1.25" x 1" 1.25" x 1.5" 1.25" x 2" 1.25" x 2.5"
The sign support that requires pre-drilled holes in signage is made of aluminum that has been machined. 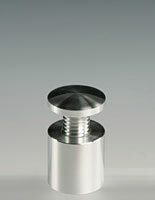 The finish that is polished on the spacers is ideal for any display that needs to get noticed. 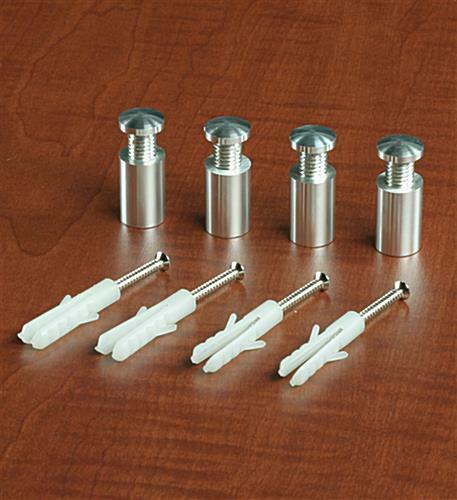 These fasteners have a diameter of 5/8" making them perfect for hanging smaller signs. 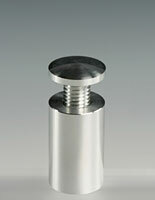 Aluminum Standoff Measures 5/8" x 1"
The aluminum standoff will make any sign appear more sophisticated. The panel mount is able to hang a sign just about anywhere. 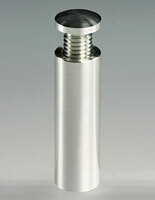 The aluminum standoff can display a room number at a doctor's office or in a hotel. No matter how many signs you have to install, these metal fixtures are priced right to keep a uniform appearance throughout your commercial space. 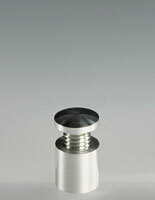 Although this almuninum standoff has a great price, the manufacture of the mount is very much above board. 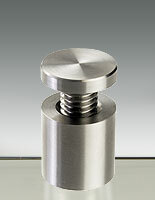 Hospitals could also use the hardware to hang room numbers throughout the unit or to point our special rooms. 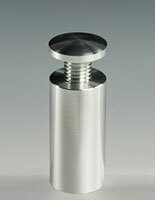 An aluminum standoff is easy to install, however we provide not only detailed directions, but also all of your hanging hardware. The first thing that must be done is to drill holes in your signage that are 7/16" in diameter. 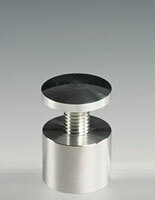 The aluminum standoff has a cap that will need to be fed through your sign and then into the fixture in the wall. Then, just screw the top until it is tight against your panel. 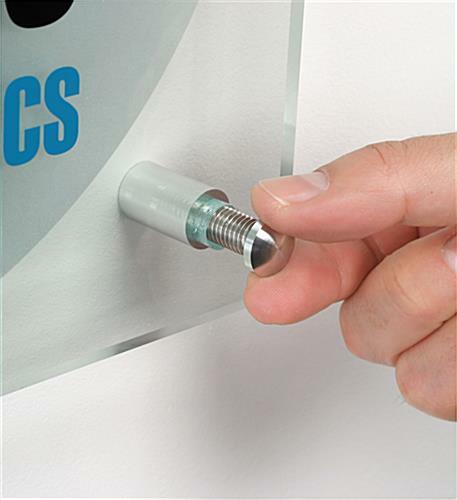 This aluminum standoff is able to mount signs up to 1/2" thick. 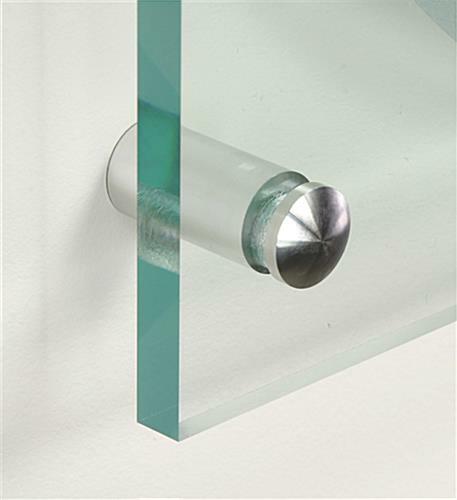 Any thicker and a different style of mounting hardware will have to be used. This product continues to be a great addition to our graphic work. They're consistent and add a classy look to the printed acrylic images that we produce. We use these all the time and they work very well! Consistent and good product.